Despite efforts being made in order to promote hydrogen, with the Mirai fuel cell car, Toyota didn’t abandon research on batteries. And better than this, the japanese car maker announced a new breakthrough, thanks to R&D made on… hydrogen storage. Rana Mohtadi, a chemical engineer from the Toyota Research Institute of North America (TRINA), was indeed working on hydrogen storage materials and their application to fuel cell technology. 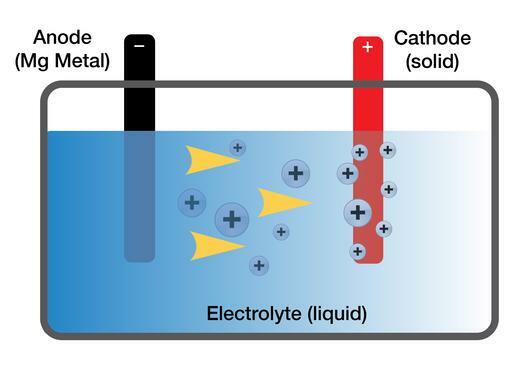 When she heard her fellow researchers discussing the challenges of developing an electrolyte for a practical magnesium battery, Mohtadi realized her hydrogen storage material might just solve the longstanding problem. With further experimentation and the help of fellow researchers, her theory proved correct. Thanks to a magnesium-friendly electrolyte, magnesium batteries may soon open the doors for smaller, longer-lasting batteries for everything from cars to cell phones. Magnesium metal is much safer and more energy-dense alternative to current lithium battery technology. However, this breakthrough technology is not a threat for fuel cell technology. While it’s easy to get caught up in the potential of a dramatically improved battery, it could take 20 years of research and development before magnesium batteries reach the consumer market.